Corn mazes, apple cider, and smiles a mile wide. When I look back on my childhood, some of my most vivid memories are of attending fall festivals and events with my family. I can still remember the edge of frost in the air, the tang of the hot apple cider, and running breathlessly through a seemingly endless corn maze. There’s something magical about Fall – when the leaves change, seemingly overnight, to a symphony of fire tones, before drifting down to coat the ground like a magic carpet. Few things capture the magic of the season like fall festivals. You can find them across the country – in numerous small towns, and family owned farms. They’re a slice of American life, truly as American as apple pie (yes, even in Canada!). No where else can you find that certain delightful combination of corn mazes, apple treats, pumpkins and Halloween festivities that you do in North America. So this year, take your kids along and make your own wonderful fall memories. Because hectic schedules sustain the daily rhythm of most households mini breaks make a world of difference and we know that pint-sized fun is better than no fun at all. Whether it’s a day trip or a weekend escape, enjoying time together and making family memories matters. Fun, quick, and easy is the magic phrase for families. A special thanks to those who took time to “Tell Mom” labout the best corn maze or fall festival because we have included those suggestions on the list for this year. 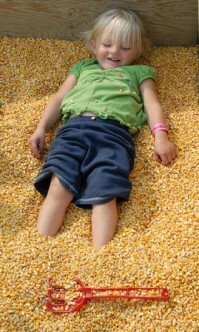 Check out our best-rated fall festivals and corn mazes from all over the USA here. 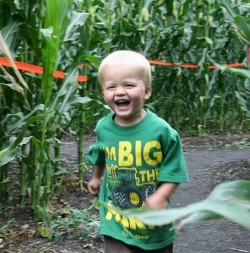 We are thrilled with the feedback from Canadians who love their corn mazes and pumpkin patches and took time to “Tell Mom” where to find the best. Find out what they recommended by check out the roundup here!